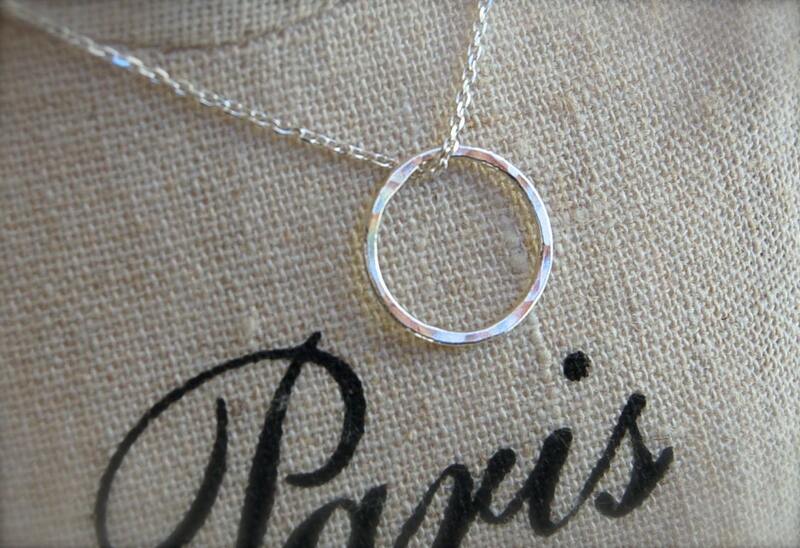 This necklace features a small hand forged circle. This simple pendant has been made using the purest silver available (Fine Silver .999). Hammered and tumbled for added beauty and strength. The circles measures approximately 1/2" in diameter. It comes on a delicate18" Sterling Silver chain. *Other sizes available by request.